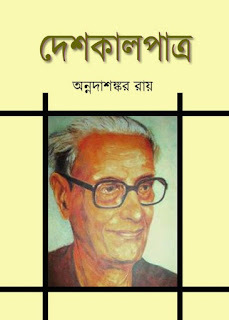 Annada Shankar Ray (1904-2002) was a renowned Bengali Novelist, essayist, poet. Born in a Shakta native state of Orissa at Dhenkanal, India. More than seventy years of experience, he was wrote many essays, novels, short stories, travel stories, poems, plays, write autobiographical essays. He enriched Bengali literature. Today I'll share with you his famous ebook "Deshkalpatro" in 1949. View or read this eBook.